GM, which likes to tout its "fortress balance sheet," is focusing on product development, ensuring it has enough money to fix problems like its money-losing European unit, reducing its exposure to pension obligations and making acquisitions. 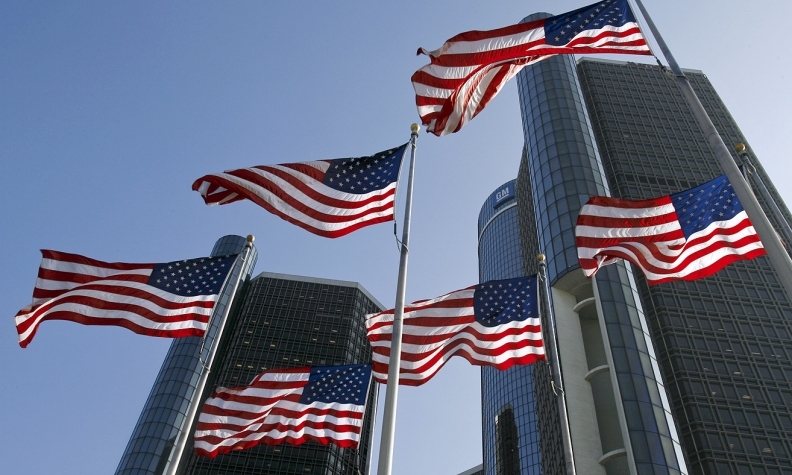 General Motors is returning to the Super Bowl after sitting out of the big game in 2013. Chevrolet has purchased commercial time in conjunction with the launch of 12 new cars and trucks between mid-2013 and the end of 2014, the company said today. "The timing of Super Bowl XLVIII lines up perfectly with our aggressive car and truck launch plans," Tim Mahoney, Chevrolet global chief marketing officer, said in a statement. "The Super Bowl is a great stage for showcasing the Chevrolet brand and our newest cars and trucks." A General Motors spokesperson declined to provide details on how many spots the company purchased during the game, which will air on Fox on Feb. 2, 2014. GM's announcement marks the reversal of another controversial decision made by Joel Ewanick, who was fired a year ago as the automaker's chief marketing officer. Since Ewanick's departure, GM also has resumed advertising on Facebook and replaced the "Chevy Runs Deep" campaign with one built around the slogan "Find New Roads." In addition, Chevrolet moved its creative work back to the advertising agency McCann Worldgroup, undoing a joint venture between McCann and Goodby Silverstein & Partners that had been Ewanick's idea. GM aired six commercials -- five for Chevy and one for the Cadillac ATS -- during the 2012 Super Bowl before skipping this year's game. Toyota, Hyundai, Kia, Mercedes-Benz, Volkswagen and Audi were among the automotive brands that did buy time for 2013. Chrysler Group, as it has done each year since 2011, ran a two-minute commercial that had many viewers buzzing for days. This year's spot used a monologue by the late broadcaster Paul Harvey to promote Ram pickup trucks. While some reports suggest Fox is seeking $4 million per 30-second spot, one media buyer told Advertising Age, an affiliate of Automotive News, that the network is likely only getting in the $3.5 million to $3.8 million range, on par with CBS's price tag last year. The buyer said Fox has about 15 spots remaining. GM decided not to buy time in the Super Bowl last year, citing the significant increase in price. New of who is buying into the big game is slowly trickling out. In July, Intuit, the maker of financial and tax prep software such as TurboTax, said it would award one small business a national commercial during the Super Bowl. The news was first reported by Variety. Nick Bunkley contributed to this report.